While we are patiently waiting for "our turn", I recently received some really exciting news from someone very close to me! I can't share who this bit of news belongs to, because this is her secret to share, but someone who I love very much is pregnant after battling with infertility, and I'm BEYOND excited for her (and her husband). This couple is so smart, so cool, and so incredibly awesome, they are going to make great parents! As you can tell, I'm super excited for them and can't wait until they share their exciting secret! Their upcoming announcement got me thinking about what we will do when we finally see a positive pregnancy test. While I may not be able to contain my excitement for long, I want to share our big news in a big way with all of our closest friends and family. 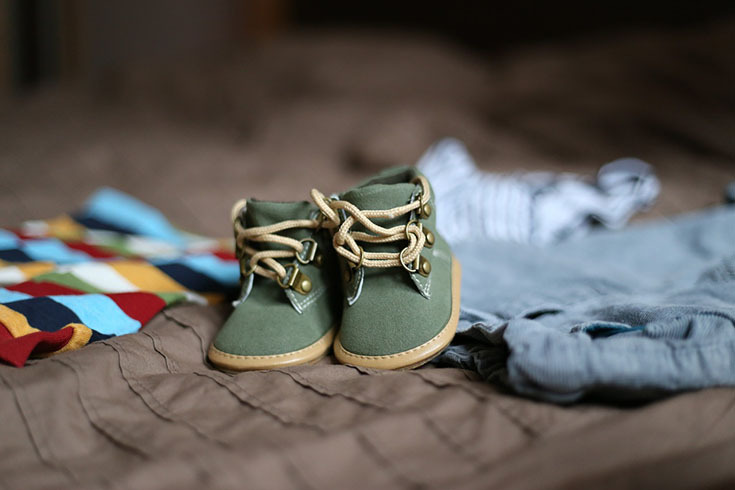 So as you can imagine, I've been googling, pinteresting, and stumbling around the internet like a fool; adding little bits of other people's pregnancy announcement ideas to my list of possible ways of sharing our future big news. 1. 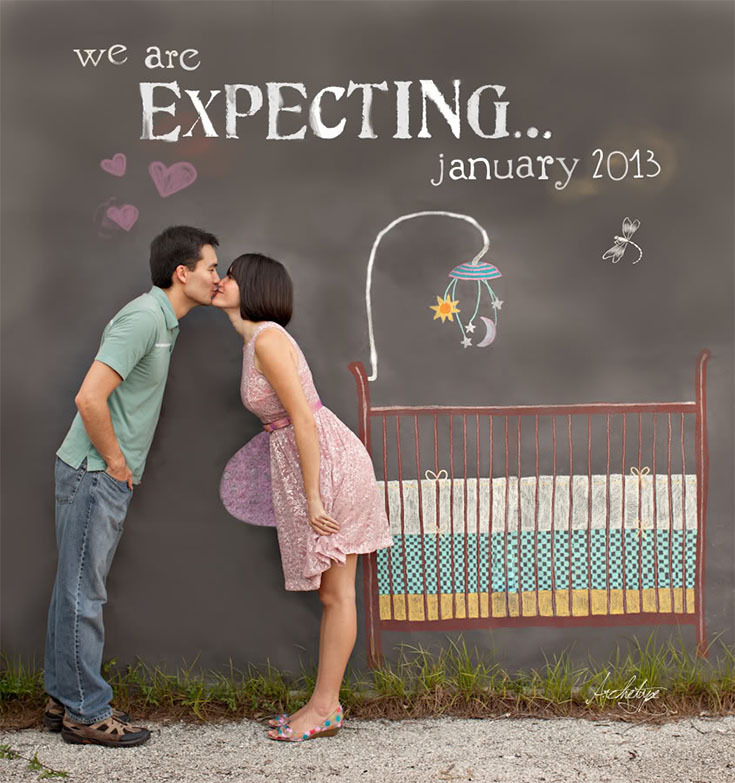 Announce your new addition with some super fun and adorable art like this couple. 2. 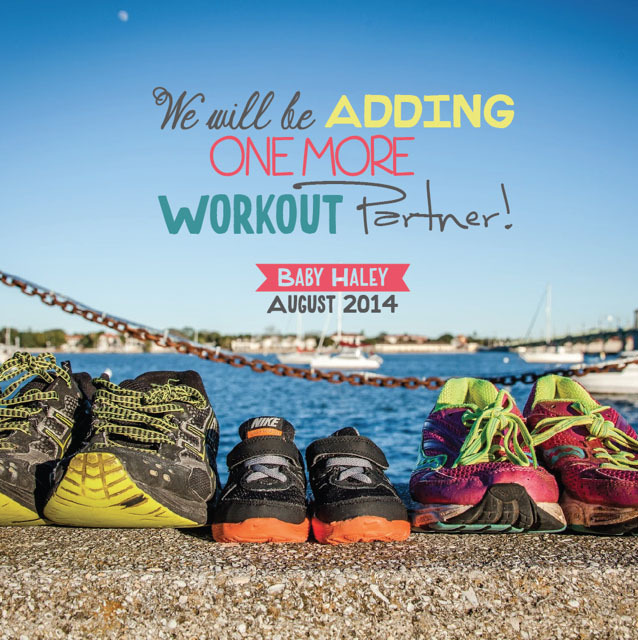 This fitness-minded pregnancy announcement is absolutely adorable and this post actually made me tear up, I love hearing success stories with couples struggling with infertility and this story is one for the books! 3. 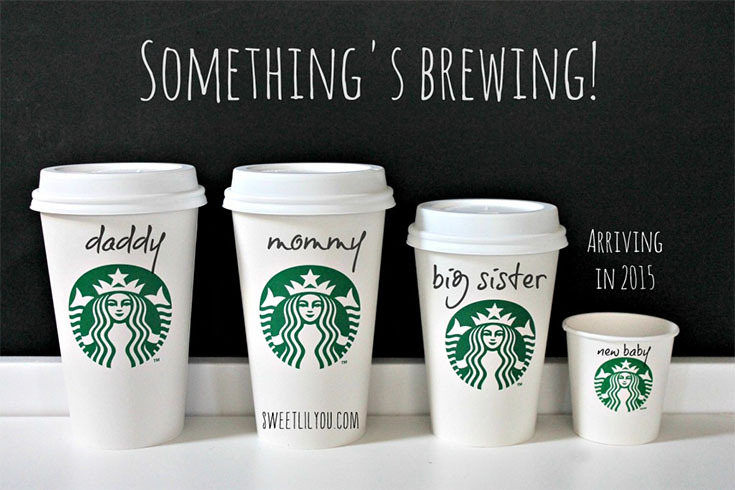 While you can't drink the caffeinated drinks once you are prego, you can still share the big news with the little green mermaid involved. 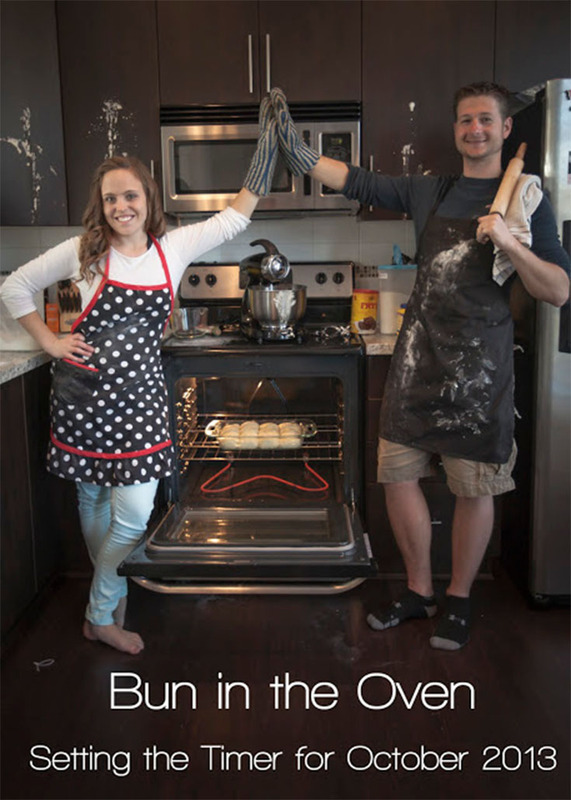 This adorable coffee themed pregnancy announcement is the perfect way to "espresso" your joy! 4. 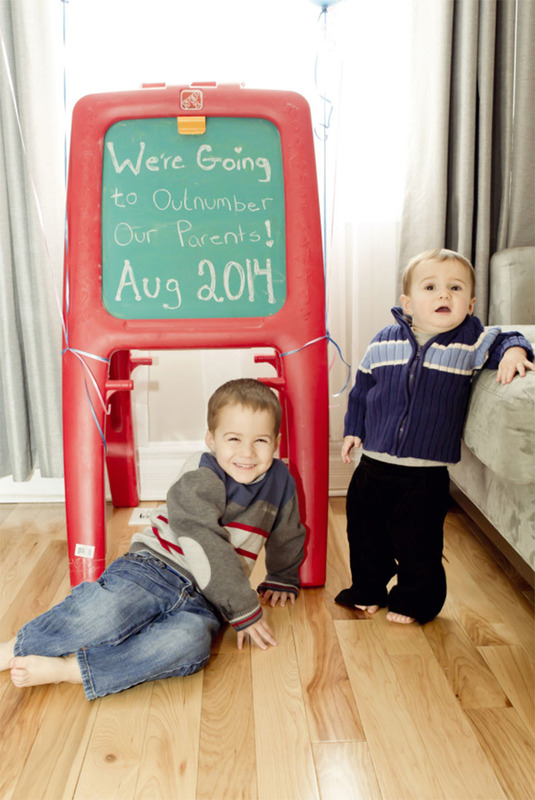 If you are blessed enough to already have two kids, this announcement sharing how you will soon be outnumbered is too cute! 6. 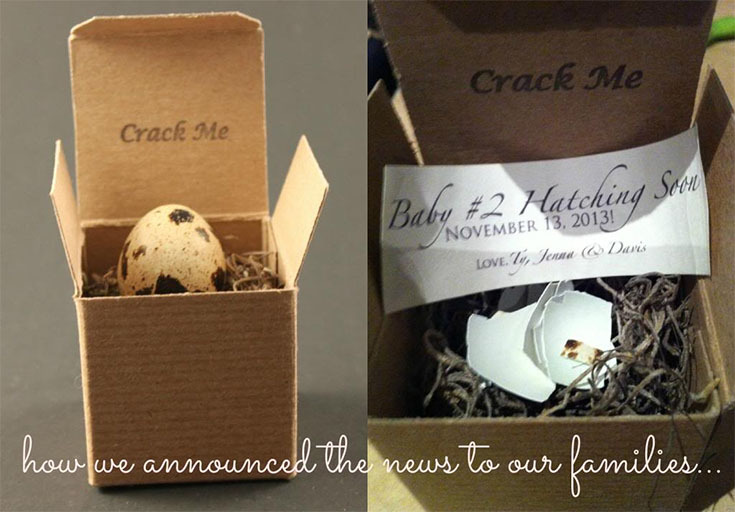 This adorable little egg announcement would be fun to surprise people with in person, whether you are sharing the news about baby number one or two. 7. 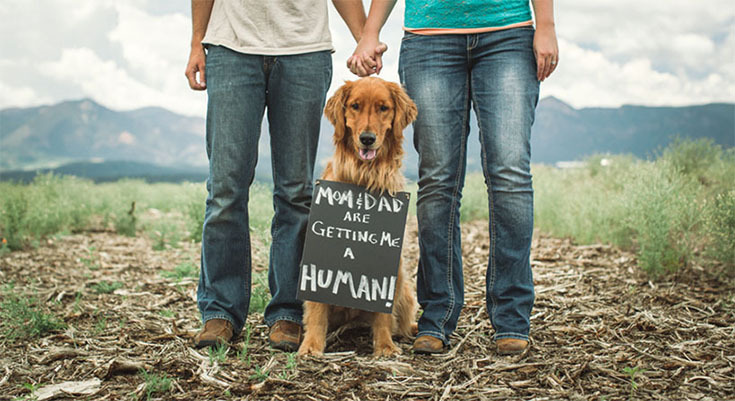 This super cute doggy involved announcement is perfect! 8. If you love reading magazines, like most of us gals, this super fun "magazine cover"-inspired announcement is a great way to share your big news in a big way! 9. If you have a green thumb, this super cute garden inspired announcement is perfect for you! These 9 happy couples are so very blessed,aren't they?! I can't wait until I can post my own announcement on the blog, so keep your fingers crossed, send us good vibes, say a prayer, or keep us in your thoughts - just do whatever it is you do to wish people good luck, please! Since I don't have any big news yet, I'd love to hear how you announced your pregnancy (or how you plan to announce if you aren't a parent or pregnant yet) in the comments below!